The entire Villanovo team is proud to announce that we are opening a new destination: Guadeloupe! Between land and sea, this archipelago located 1700 kilometres from the metropolis, in the heart of the Caribbean, amazes its visitors. Between its long stretches of sand and its splendid natural spaces, Guadeloupe is an ideal destination to discover a culture rich in colours. 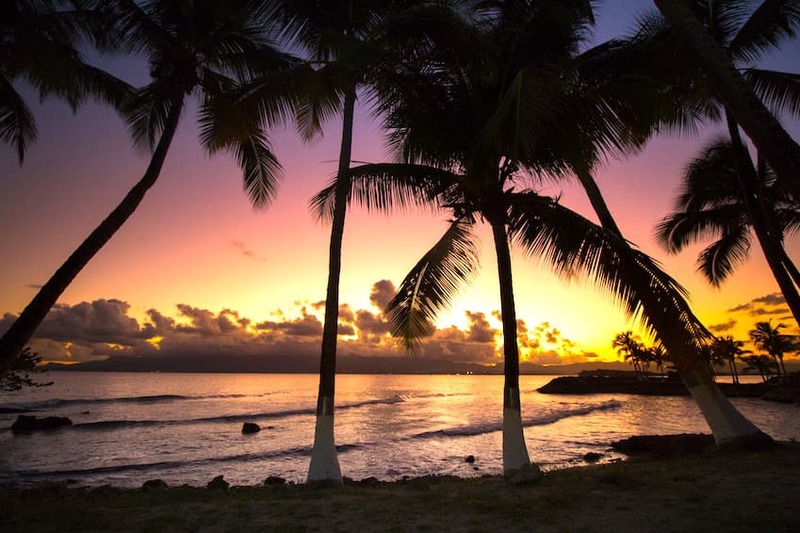 The sweetness of life, coconut trees and sun...These are what could sum up Guadeloupe. 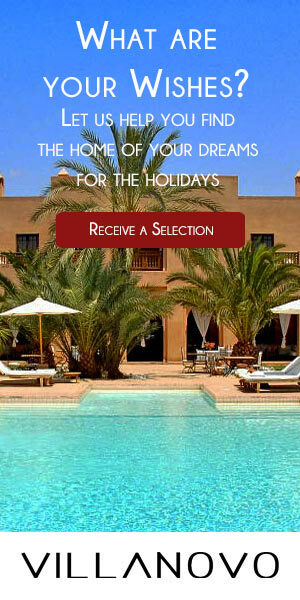 Do not wait any longer and embark for this archipelago with seven magical islands! Set on the arch of the Lesser Antilles, Guadeloupe enjoys spectacular landscapes that you will love to contemplate and take pictures of during your stay. This archipelago of seven islands, whose central part takes the form of a butterfly, will enchant you with its variety of natural spaces. Caribbean natives refer to Guadeloupe as Karukera which means "the island of the beautiful waters". Indeed, you are easily lost in the crystalline cascades in which you can take pleasure in cooling off in the tropical sun and the humid atmosphere of Guadeloupe. 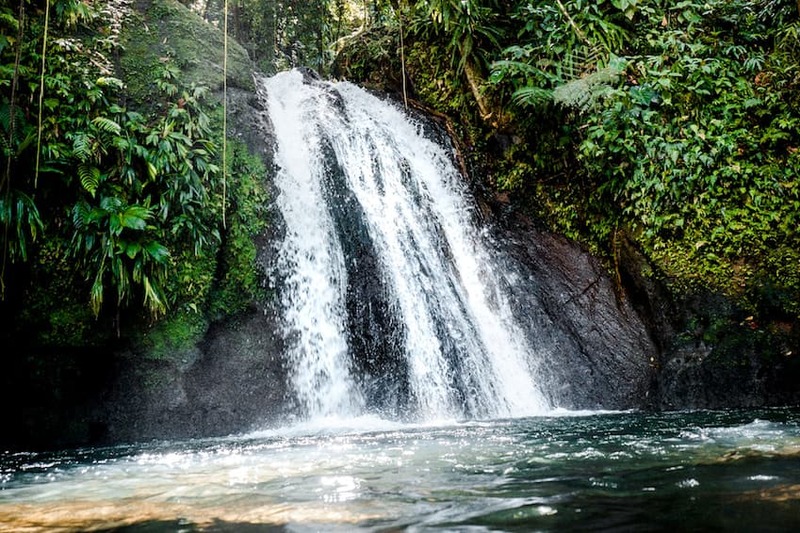 Among the most beautiful waterfalls of the archipelago, visit the cascades populated by crayfish, the Bassin Paradis and the Saut de la Lézarde which are both breathtaking. Guadeloupe is also an opportunity to discover an exceptional flora and fauna, especially if you travel with your children. They will love watching animals wander in the wild and admire the beauty of the tropical flowers of the archipelago. To make the most of it, we advise exploring the national parks of Guadeloupe. Located on the legendary Route de la Traversée, Parc des Mamelles offers an exceptional flora in its natural setting. The zoo trails wind through a lush tropical forest where you can see porcelain roses, balisiers, wild orchids, guava trees and centenary mahoganys. In terms of wildlife, the park is home to Caribbean iguanas, bats and wild species such as jaguars, squirrels and multicoloured parrots! Continue your natural getaway in the Guadeloupe National Park which is definitely a must in the Caribbean. Located on the mountainous Basse-Terre island, the Guadeloupe National Park is the largest in the Lesser Antilles. Consisting of a mountainous massif covered with dense lush vegetation, the park works for environmental causes. In this park, there are 33 species of birds, a hundred different trees, and at least 2500 species of flower including a wide variety of orchids. During your explorations you will be able to contemplate all the beauty of the natural spaces of Guadeloupe, including that of the active volcano of Soufrière which culminates at 1,457 metres, around which you will find many hot springs. Nicknamed the "old lady", the Soufrière volcano is one of Guadeloupe's most visited sites. Imposing and mystical, this active volcano still fascinates its visitors. 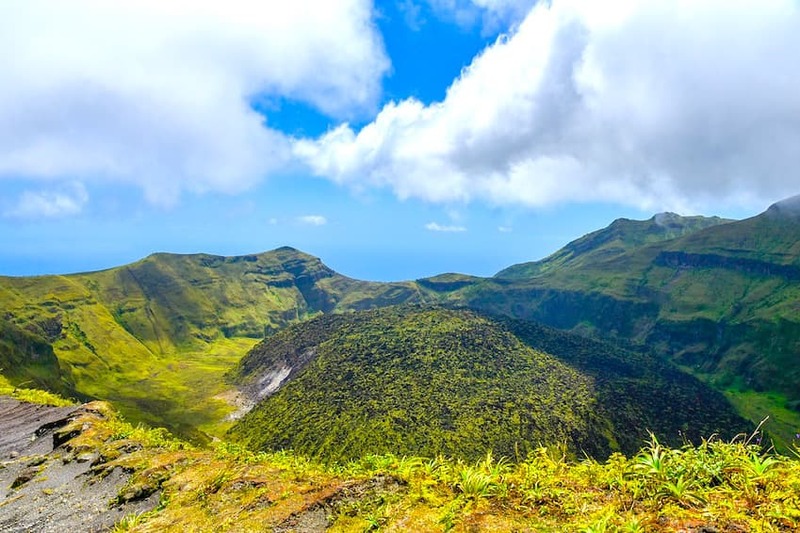 If you want to keep fit, the Soufrière hike is a must in Guadeloupe. Located in the Guadeloupe National Park, Basse-Terre, this volcano is reached in 4h or 4h30 return, though there are easier trails. However, we recommend climbing its peak, called La Découverte, from which you will be greeted with a breathtaking landscape. For families, we recommend a trip to the Pointe des Châteaux, a beautiful beach from which you can contemplate the crazy spectacle of the sea. After climbing along a low altitude, you will have an aerial view of the landscape. A guaranteed escape! If you like to delve into the wilderness, head for the Traversée Route. Under the forest canopy, you will walk for about two hours in the heart of tropical flora and fauna. Preserved and magical, the nature of the Route de la Traversée will enchant you for sure! Finally, do not miss the Carbet Falls! Though the trail is rather difficult to access and requires a little physical fitness, your efforts will be well rewarded. Stroll through the rainforest and discover different layers of the forest throughout the hike. At the end of the path, a wide view of the Carbet Falls awaits you. Among the most spectacular of the Lesser Antilles, these three waterfalls combine enchantment and escape. It is well known that Guadeloupe is famous for its exquisite rum. So if you have the opportunity to visit this extraordinary archipelago, do not forget to visit the distilleries and sugar cane fields. Not far from Lamentin, is the famous Domaine de Séverin. It is the most visited distillery in the archipelago. Still active, the estate presents a colonial-style architecture in which one strolls with pleasure whilst learning about the inner workings of rum making. The tour has a small train from which you will be entitled to breathtaking views of sugar cane plantations. 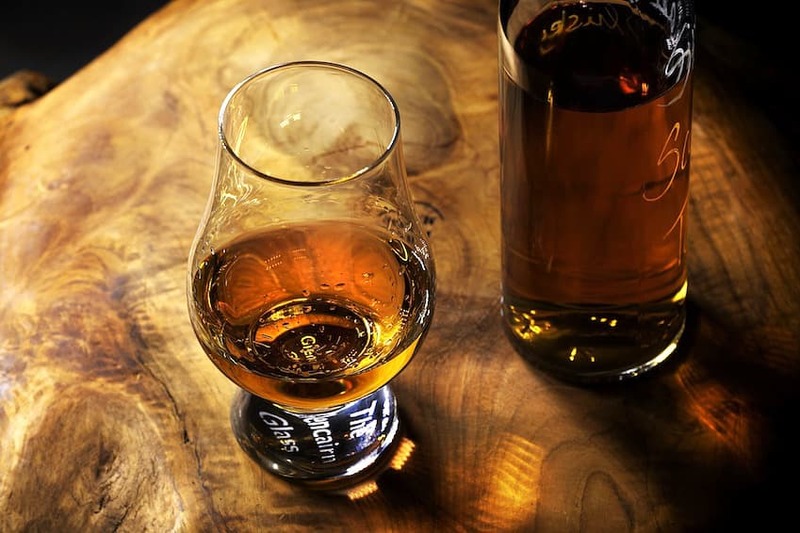 Finish the tour with boutique tastings and indulging in the various rums on sale. Then continue your journey on the island of Grande-Terre, where there are colourful markets in which to hunt for souvenirs and soak up the local culture. In Pointe-à-Pitre, head to the market of Darse where you will find peppers, fruits, vegetables, rums and punches! A little further at the Marché Saint-Antoine, let yourself be intoxicated by the smell of spices that will make you think of the souks of Marrakech. Finally, in front of St. Peter and St. Paul's Church, do not miss the flower market where you can find lovely plants and tropical flowers. Also enjoy your stay by tasting the local specialties of the island. Among the Guadeloupean dishes, do not miss the accras, an à la carte of all the restaurants, or the smoked chicken whose meat is marinated then smoked with sugar cane. Those with a sweet tooth can feast on coconut sorbet, plentiful fresh fruit from the markets and tropical juices. Finally, during your stay in Guadeloupe, do not forget to sample the rum! It is a symbol of the archipelago, and for good reason! Ti Punch, a white rum served with cane sugar and lime, is particularly delicious. When one thinks of Guadeloupe, one imagines large expanses of golden sand, coconut trees and cocktails to sip while watching the waves crashing on the rocks. In this sense, Guadeloupe does not fail its reputation. During your stay, sunbathe on the beach of Caravelle in Sainte-Anne. Here, coconut palms sway with the wind and the translucent waters offer postcard decorations. If the beach is rather busy, it is nevertheless worth the detour and will allow you to grant yourself a precious moment of relaxation. If you are travelling with your family, we recommend the beach of Bois-Jolan, also in Sainte-Anne, which offers shallow water. Here, the coral outcrops are a perfect excuse to try scuba diving. Or just grab your masks and snorkels! Go explore the coral reefs and marine life away from the crowds. In front of your eyes a real show will begin, where the marine life glides across a backdrop of a blue gradients. For more wild beaches, head for the Datcha au Gosier beach, which offers breathtaking views of the Gosier islet. Moreover, if you want to organise a fun outing with your family, we recommend that you reach this island by boat or canoe! During your stay, do not miss the beaches of Marie-Galante, often considered as the most beautiful beaches of Guadeloupe. Easily accessible from Pointe-à-Pitre, these stretches of sand are little corners of paradise. Here, the sweetness of life is the key essence. Embark for the beaches of Feuillère or Anse de Mays for beautiful moments of tranquility under the sun of Guadeloupe. Moreover, Guadeloupe is the perfect opportunity to try watersports. In particular, the practice of scuba diving is very famous in the archipelago. This is partly due to the fantastic conditions, as the warm waters of the Caribbean reach temperatures of between 27°C and 29°C all year round. In Basse-Terre, leave to contemplate the reserve of Commander Cousteau where there are splendid coral gardens and a diverse underwater fauna. Scuba diving will also allow you to swim alongside sea turtles. There are five different species of turtles on the archipelago among the seven in the world! Alternatively, try stand-up paddle boarding and enjoy the unique perspective above the surface of the water. Many clubs on the archipelago offer this activity, which allows you to contemplate the natural environment in an engaging way. In Guadeloupe, this practice has been taken even further: you now have the option of stand-up paddle yoga, where you can meditate while being in harmony with the calm lagoons and the turquoise waters of the archipelago. Finally, for fun family activities, kayaking is a great choice. Active and entertaining, kayaking will allow you to explore the spectacular landscapes of Guadeloupe in a highly enjoyable way. In particular, we recommend venturing into the Grand-Cul-de-Sac-Marin mangrove or in the beautiful bay of Saintes.